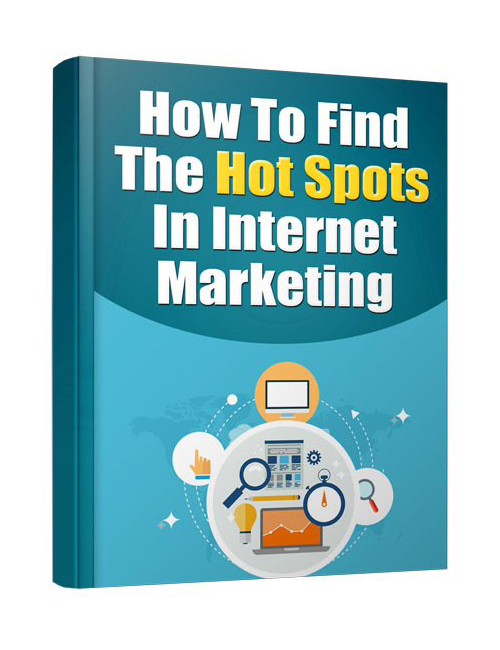 How To Find The Hot Spots In Internet Marketing is an excellent quality tool that’s going to help you locate the tip-top spots in internet marketing you need to win big. FACT – The online business internet world is wild and whacky and hugely competitive. It will eat you up fast inside-out if you don’t have the current knowledge and drive to take your business to the next level and make lots of money doing it. Truth…most businesses fail within the first year. If you want to succeed you need to have all the tactical strategies to make it happen big-time which means finding the right niches and topics that are of interest to the masses. This quality expert e-book has your answers, your solutions to uncovering the best of the best in internet hot spots and from there the sky truly is the limit.